Roller chain connecting links also known as master links are used to connect two ends of the roller chain together. 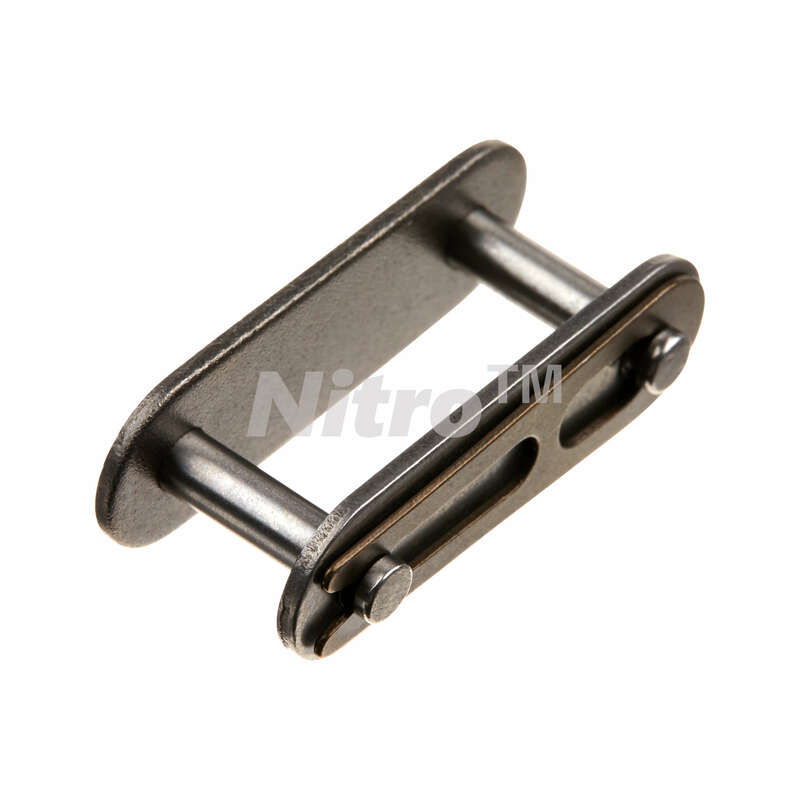 This connecting link also fits C2082H roller chain. Q: can you verify that this is the correct connecting link for the C2082H X 10FT Heavy Series Conveyor Roller Chain (Oversized Rollers)? A: Yes, our connecting link number CLC2080H fits C2082H roller chain. The spring clip should be installed where the opening is facing away from the direction of travel. This will help prevent the spring clips from coming off. Like shown in the diagram to the right. Careful not spread the clip opening too far apart. This can make the clip more prone to falling off. Cotter Pin Connecting Links The cotter pins pin legs should be spread about 60° apart. Like shown in the diagram to the left. Never reuse cotter pins that have been taken off. Never use commercial cotter pins as these are usually not hardened.